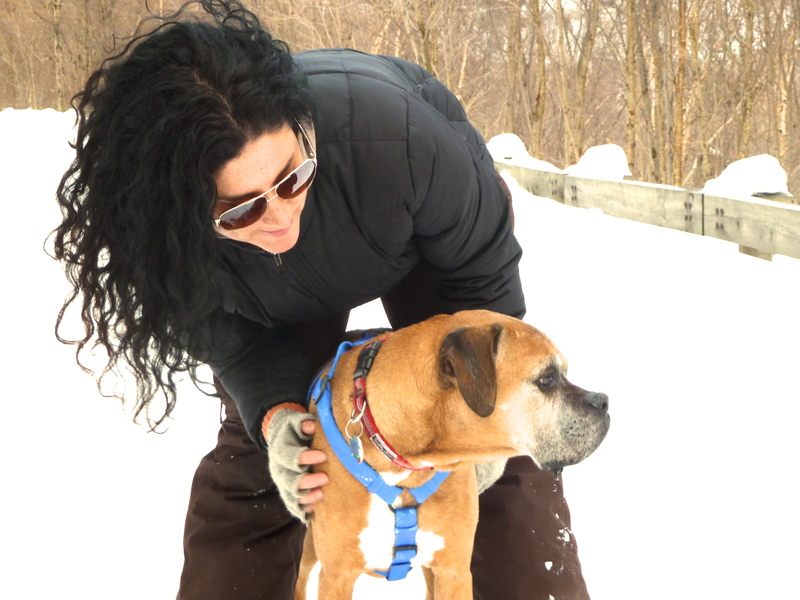 Several yeas ago I began a pet care service in Northern Vermont. After many years of caring for animals, becoming a Certified Small Animal Massage Therapist was a natural progression on my path to working with and caring for animals. I am a graduate of the Bancroft School of Massage Therapy in Worcester, MA. To become certified in Small Animal Massage I completed courses in anatomy and physiology, as well as hands-on training in many types of massage strokes, palpation, muscle mobilization techniques, passive range of motion exercises and myofascial release. My goal is to work with both owners and Veterinarians to provide the best course of action for each individual animal. After having the opportunity to perform massage on both dogs and cats, I have seen the amazing results that occur when an animal receives therapeutic and maintenance massage. Increased mobility and strength, healthier skin and coat, more relaxed and calm, reversal of atrophy in older animals, relief from muscle tension, soreness, spasms and weaknesses just to name a few of the numerous benefits.